Fantom Stop was created to solve two issues; first off, trip hazards. 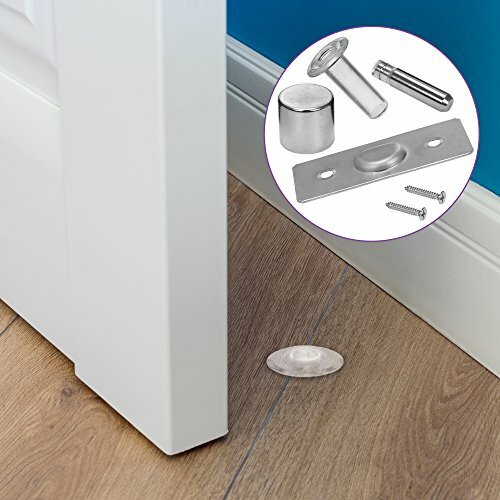 Unlike conventional door stops today, the Fantom Stop poses no trip hazard due to its innovative flush finish and non-protruding pin. Secondly, we wanted to create a concealed finish, cost effective hold open device. With the striker plate fitted underneath the door, there is no unsightly hardware on display and all moving parts are hidden underneath the door. If you have any questions about this product by Fantom, contact us by completing and submitting the form below. If you are looking for a specif part number, please include it with your message. Pavilion Gift Company 72198 Spoiled Dog Door Stopper, 5 x 6"